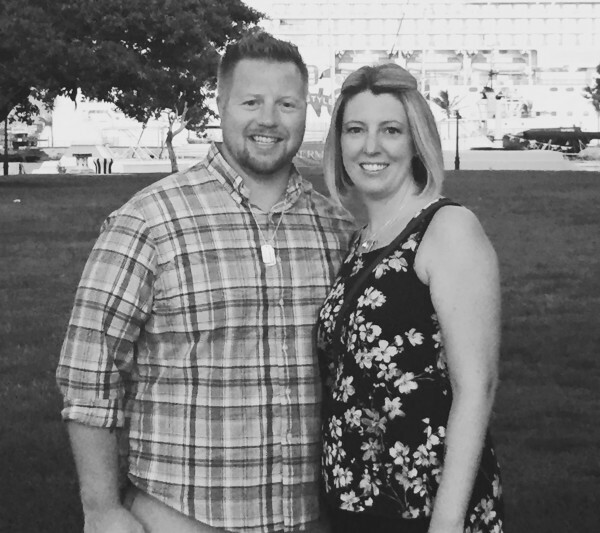 Erin and Scott Hatch of Bangor are pictured in August 2015. A headline that appeared in the Bangor Daily News in December 1998. Erin Hatch knew throughout her 24 hours of labor in March 2015 that once her twin boys left her body their tiny lungs wouldn’t be formed enough to breathe. After trying for eight years to become pregnant, she found herself planning not for birth but death. A social worker met with her to make funeral arrangements while she was still in labor, and she could feel her boys, Mason Christopher and Marshall Carter, kicking. They lived for minutes. Unlike a stillbirth, where the death occurs in utero, the twins died because they were premature — just 20 weeks. They died because they were born. “They were just perfect. Mason looked like my husband, and Marshall looked like me. They were very small, but they had fingernails and hair and eyelashes,” Hatch, of Bangor, said. She and her husband, Scott, held the bodies of their babies, washed them and had keepsake imprints made of their feet and hands. Hospital staff encouraged pictures. And when it was time, they wrapped them in blankets and said goodbye. For Hatch, the death of her twins also meant the death of her hopes and dreams for them. “I didn’t just lose my children, I lost their whole life. I lost their first day of kindergarten. I lost school shopping. I lost going to camp in the summer. I lost teaching them to swim,” she said. In Maine, more moms and dads are seeing their dreams for their babies cut short. Many, like the Hatch family, don’t know why their little ones are born premature or die in their first year. Often, the reasons for a baby’s death aren’t knowable or preventable. In other cases, though, they may be. Or there may be a chance to learn how the family could have received better support. The rate of infant deaths in Maine has been increasing since the 1990s, according to a BDN analysis of the data. It’s not clear why the trend is occurring, however, because a panel created by the Legislature to track and analyze the factors surrounding the deaths has been unable to do its work. 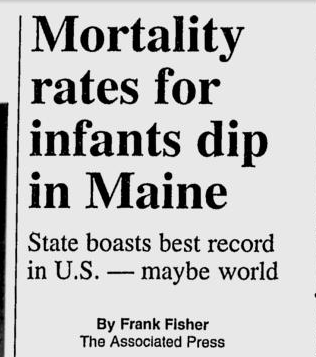 In 1996, Maine had the lowest infant mortality rate in the country and, some said, the world. For every 1,000 babies born, just 4.4 died before their first birthday. Nearly 20 years later, in 2014, Maine ranked 37th among the states (tied with Delaware) for its infant mortality rate of 6.7 per 1,000 live births, according to the U.S. Centers for Disease Control and Prevention. (Chart not displaying on your phone? Tap here to view it in full.) What’s more, examining trends nationwide reveals a startling discovery: Maine is the only state that’s seen a long-term increase in its infant mortality rate. Because Maine has a small number of babies, year-to-year death rates often fluctuate. But comparing averages of the infant mortality rate between 1995 and 2004 with 2005 and 2014 shows there was almost a one-point increase. Every other state lowered its infant mortality rate or kept it constant over this time. In the last decade in Maine, every year an average of 85 babies died before their first birthday. That’s 12 more who died per year, on average, than in the previous decade. It can be difficult to determine a trend when dealing with small numbers, so BDN data scientist Jake Emerson analyzed the data. You can read more about his analysis by clicking here. He found the increase in Maine’s infant mortality rate is genuine. “Maine is really different from all the rest of the states, and there’s not a really good reason for why,” said Emerson, who is also a UMaine Ph.D. student in computing and information science. (Tap here to view the chart.) Infant deaths are not just terrible in their own right. They are a strong indicator of the well-being of a population. “If I were given the choice of only one piece of data to measure the health of a society, it would be infant mortality, since it is an indicator of the health of three populations that are very vulnerable — infants, pregnant women and postpartum women — all of whom need the support of their society for optimal outcomes,” said Dora Mills, vice president for clinical affairs at the University of New England and the former director of the Maine Center for Disease Control and Prevention. Despite its importance, the reasons behind Maine’s infant mortality rate have received little study. More is known at the national level. Recently, a study examining microdata attempted to understand why so many more babies die here compared with other wealthy countries. The U.S. actually sees similar death rates to other countries in the first month of life. The difference comes in the rate of babies dying between their first month and first year, according to economists Alice Chen, Emily Oster and Heidi Williams in a study published in the American Economic Journal: Economic Policy in May. They weren’t able to pinpoint specific causes of death that accounted for the U.S.’s disadvantage — for instance, Sudden Infant Death Syndrome, birth defects or assaults — in part because of the way different countries keep track of infant deaths. Some might suggest that the U.S. is simply better at keeping struggling babies alive longer, thus accounting for the number of deaths beyond one month. But this is unlikely since the variation in death rates continues up to a year. What appears to cause the difference? It seems it’s associated with socioeconomics. The rate of deaths between the first month and first year, known as postneonatal mortality, is far lower among those who are “advantaged” — meaning mothers with high levels of education who are married and white — the researchers found. Race alone didn’t seem to account for the difference. The researchers conducted an analysis that excluded black Americans and still found the U.S. compared poorly with European countries. Also, income differences didn’t entirely explain the variation in mortality. That’s because the gap in mortality rates may instead be driven by gaps in knowledge and support. The researchers’ evidence “suggests that the observed higher US postneonatal mortality relative to Europe is due entirely, or almost entirely, to higher mortality among disadvantaged groups,” according to the study. As the researchers pointed out, many countries in Europe have initiatives that bring nurses or other professionals into the homes of parents with infants to check on the baby’s health and offer advice. “Notably, in light of our income results, these policies do not focus on alleviating resource constraints per se but rather on providing information and support targeted to mothers and infants,” according to the study. It’s possible infant deaths in Maine stem from this same lack of advantage and support for parents. But one state law, designed to help address the problem, has prevented people from gathering data, hearing directly from families and understanding more. Smoking has been linked to infant mortality, as it can cause birth defects, SIDS, preterm birth and maternal complications. About 20 percent of pregnant Maine women smoke during their last three months of pregnancy. Unsafe sleeping environments can also contribute to infant deaths. Research shows babies are at increased risk of suffocating if they share a bed with parents, especially if the parents are under the influence. They are also at risk if there are soft objects in the crib, or the baby is placed on his or her stomach instead of the back to sleep. Substance use, home births, access to prenatal care and obesity are all potential factors at play in Maine. While the opiate crisis brought a 500-percent increase in the number of drug-affected babies from 2005 to 2015, it isn’t clear if it has contributed to the infant mortality rate. Low income can exacerbate underlying risk factors. “Poverty causes people to have such a high level of stress. Domestic instability or violence, irregular access to nutritious food, the stress of not being able to go to the doctor’s as much as you want all lead to infant mortality,” said Marie Hayes, who researches opiate-exposed infants at the University of Maine. At any time, but especially at a time when more people die in Maine than are born, everyone should be fighting to keep as many babies alive as possible, said Claire Berkowitz, executive director of the Maine Children’s Alliance. “It’s that idea that children get punished for the perceived sins of their parents. Their parents’ only sin is being poor. That just creates the cycle that doesn’t get broken if we treat family systems that way,” she said. But while experts know what generally leads to infant deaths, they don’t know why, exactly, more babies are dying in Maine, or how community resources should adapt. In pinpointing reasons, “there aren’t any home runs there other than poverty, lower socioeconomic status and sort of general drivers of health care outcomes and health seeking behaviors,” said Dr. Mark Brown, medical director of Eastern Maine Medical Center’s neonatal intensive care unit and chief of pediatrics. In Maine, where there are a statistically small number of infant deaths each year, health experts recommend examining the circumstances of each and every loss, to better understand how families can be supported, identify gaps in services and resources, and piece together any emerging trends. 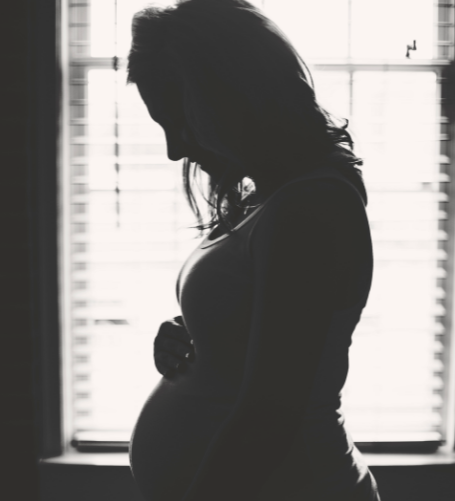 The National Fetal and Infant Mortality Review Program, a collaboration between the American College of Obstetricians and Gynecologists and the federal Maternal and Child Health Bureau, says that states with fewer than 100 deaths per year should look at every one. To do that, it recommends states form panels to collect information from a variety of sources, including interviews with families. (There are more than 200 such fetal-infant mortality review programs in 40 states and territories.) It emphasizes that the goal is not to place blame but to better identify families’ concerns, and ways for community and health-care programs to improve. It recommends these panels have authority to access medical records, which must be kept confidential, and suggests they identify cases to review within three weeks of the death of an infant. More than 10 years ago, the state set out to create such a group. Called the Maine Maternal, Fetal and Infant Mortality Review Panel, it’s supposed to review the deaths of all women during pregnancy or within 42 days of giving birth, and the majority of fetal deaths that occur after 28 weeks and deaths of infants under 1 year of age. But in 2005, as the legislation was being drafted, lawmakers wanted assurances that the panel’s work wouldn’t violate families’ privacy. “It was right around the time that it became apparent that the NSA was listening in on people’s phone calls. There was a lot of national attention on privacy. 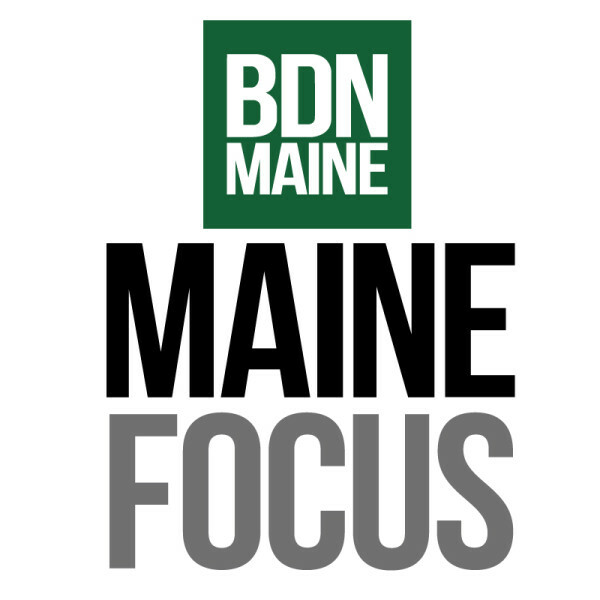 The Legislature was worried about protecting people’s privacy,” said Kelley Bowden, nurse coordinator for perinatal outreach at Maine Medical Center and co-chair of the panel. Facing opposition to the legislation — including from Mary Mayhew, then a lobbyist for the Maine Hospital Association and now commissioner of the Maine Department of Health and Human Services — the health and human services committee urged a compromise with proponents. That final compromise required families to give their consent before the panel coordinator could examine their records. And it prohibited asking for that consent or an interview until four months after an infant’s death. The requirements have restricted the panel from accomplishing its goals, four of its current and former members told the BDN. “We were somewhat hamstrung from the start,” said Dr. Jay Naliboff, vice president for medical affairs at Franklin Memorial Hospital and co-chair of the panel. Here’s how it’s supposed to work. Four months after an infant’s death, the Maine CDC will send a letter to the surviving family informing them of the panel and asking if they’ll participate on a voluntary and confidential basis. The panel coordinator keeps their medical information private, and only provides to the full panel case summaries that have no names or ways to identify an infant or family. The panel doesn’t review potential criminal cases or instances when there might be a lawsuit. As time goes on, it becomes harder to reach parents, who may move after their baby’s death. Often people have cell phones and aren’t in a phone book. Looking up mailing addresses, to make sure the right family gets materials, has been time-consuming, according to the panel’s 2015 report to the Legislature. Sending the letter four months after an infant dies has seen zero success. Not a single case has come to the panel as a result of a letter from the Maine CDC. Of the few cases the panel has reviewed, either a family came to it directly or through the referral of a medical professional. Naliboff said the panel has conducted fewer than six interviews since it began work. It wasn’t until 2008 that the state finalized the rules guiding the panel’s operations. Changes in leadership and vacancies at the Maine CDC then slowed down progress, according to the panel’s 2009 report. The panel reviewed only two of the 85 infant deaths in 2014. It did not meet at all in 2015. There may be another entity looking at the issue. A workgroup at the Maine CDC is “conducting an in-depth review of Maine’s infant mortality rates, trends and causes,” according to the panel’s 2015 report to the Legislature. However, neither panel coordinator Ellie Mulcahy nor DHHS spokespeople returned multiple requests for more information. There is a similar panel created by the Legislature, which has greater privileges, called the Child Death and Serious Injury Review Panel. It’s able to subpoena documents, but it doesn’t look at infant deaths in the first month of life like the Maine Maternal, Fetal and Infant Mortality Review Panel is supposed to. What’s more, its attention is split between infant, child and adolescent deaths, and any childhood injuries. “We look at drownings, we look at suicide, we look at ATV injuries, we look at fractures,” said Stephen Meister, co-chair of the Child Death and Serious Injury Review Panel. A rising infant mortality rate is concerning and warrants study, said Craig Mason, professor of education and applied quantitative methods at UMaine. “It can be challenging work because it’s a sensitive issue for parents, understandably, and we need to respect people’s privacy. At the same time, if the infant mortality rate is increasing in Maine, it’s a significant public health concern that needs to be addressed,” said Mason, who also holds a contract with the U.S. Centers for Disease Control and Prevention to study newborn health and development. And Jeff Austin, a lobbyist for the Maine Hospital Association, said the organization would be open to reviewing any proposed legislation removing some of the requirements that have made the Maine Maternal, Fetal and Infant Mortality Review Panel’s work more difficult. “We are of course open to reviewing the current panel, its statutory authorizations and how it might be better utilized in reducing infant mortality,” Austin said. It was kids who brought Erin and Scott Hatch together. They met as counselors at a summer camp when she was 20 and he was 18. And from the time they started dating, they talked about having children. “It was always just part of what our life story was supposed to be, to have kids,” Erin Hatch said. Losing Mason and Marshall was an “out-of-body experience,” she said, the first year afterward a blur. She joined the grief support group Empty Arms in Bangor. She went to grief counseling. She connected with someone who lost twins in a similar way. Yet it was a lonely process. Even today, sometimes, the loss hits her hard. Erin and Scott Hatch are finding their way through their grief. They now have a 4-month-old baby boy. But they also don’t want to dismiss from their minds the twins who once held their hearts. This year, on what would have been their twins’ first birthday, they threw a party and invited people over. They ate cake and celebrated as if their twins were there. Erin Hatch is comforted by the thought of keeping their memory alive. Maybe that’s why, when friends and family members send the couple cards in the mail, they’re also addressed to Mason and Marshall — not present, but not forgotten.